Father Piedrahita joined the Sulpicians, as a candidate, on June 2018, and was assigned as a formation faculty member at Theological College. He was born and raised in Medellin, Colombia. Before beginning his seminary studies, he earned a B.A. in Business Administration and an M.A. in Strategic Management of Costs and Finances at EAFIT University in Colombia. For some years, he pursued a successful career in business and finance. He worked for two banks, served as a financial consultant for companies in Colombia and Mexico, and was employed as a project evaluator for such international institutions as the Inter-American Development Bank, the Organization of American States, and the World Bank. In addition, he has been a professor of Finances and Project Management at two universities in Colombia — the Pontifical University Bolivariana and the University of Antioquia. He studied Philosophy at the University of St. Thomas in Houston, Tex., and completed an M.A. in Divinity at St. John’s Seminary in Brighton, Mass. He is a candidate for a licentiate in Sacred Theology in Spirituality at Boston College, where he is writing a thesis on the Humanity of Christ in the works of St. Ignatius of Loyola and St. Teresa of Avila. He also received training as a Director of Spiritual Exercises, as well as Spiritual Director at St. Beuno’s Jesuit Spirituality Centre in North Wales, United Kingdom. 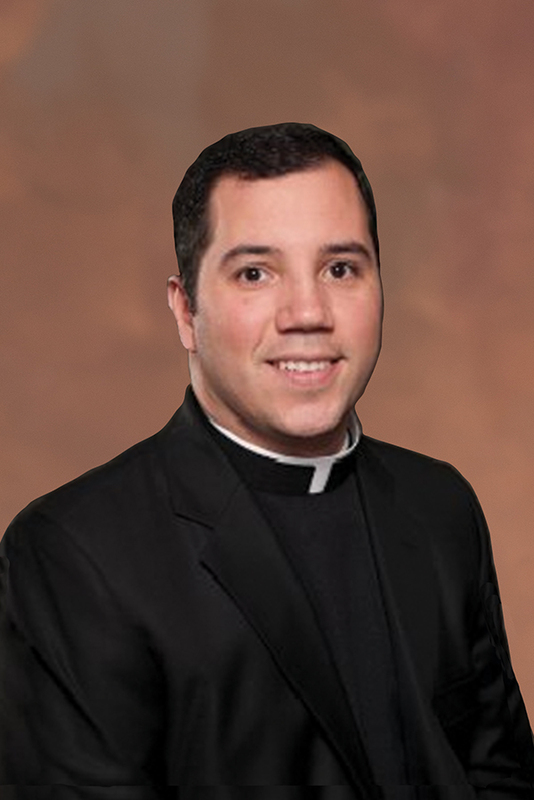 Father Piedrahita was ordained in 2013 for the Archdiocese of Hartford, Conn., by Archbishop Henry Mansell. He served as a parochial vicar at the Basilica of the Immaculate Conception in Waterbury, St. Paul Church and St. Augustine Church in Glastonbury, the Torrington Catholic Cluster, and St. Matthew Church in Forestville; as parish administrator of St. Mary Church in Newington; and as an assistant Master of Ceremonies for the Archdiocese.